Five Ten has just announced its first full women’s line up for mountain bike shoes as well as a more durable version of the Freerider just in time for Eurobike. The only shoe that Five Ten previously made in women’s sizes was the Freerider flat and even then, it was only available in pink. Now however, women can now also choose to ride either the Kestrel Lace and Freerider Contact in a range of colours. 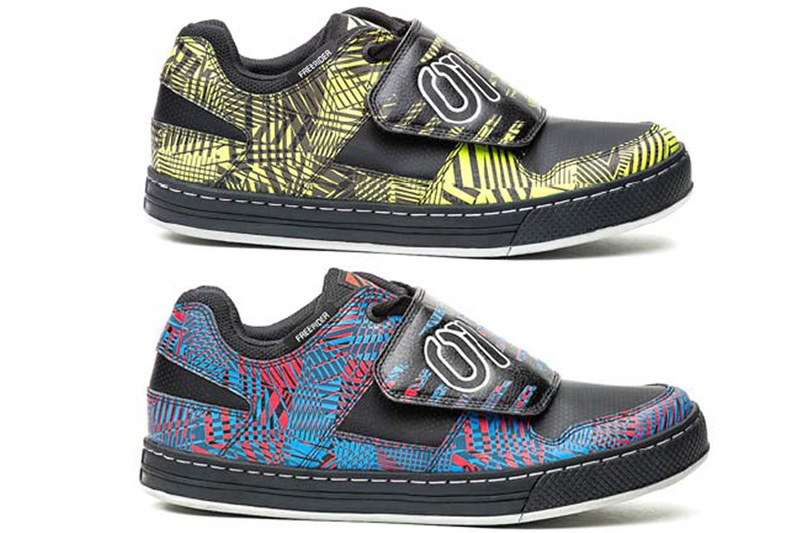 The shoes have been developed in tandem with World Cup downhill racers Tracey Hannah, Emmeline Ragot and Jill Kintner – certainly women who know a thing or two about how to ride fast. Five Ten claims it has shaped the shoes to fit smaller, narrower feet with extra padding and a thinner forefoot. They are all fitted with Stealth rubber soles. The shoes should be suitable for anything from downhill to trail riding so hopefully you can find the right fit for you. Also new from Five Ten is the Freerider ELC. This is a more durable version of the shoe we recently gave a nine out of ten so it caught our attention even before we saw the garish colour schemes. Either way, if it lives up to its claims, this could replace the Shimano AM41 as our winter shoe of choice. We’ve no words on prices or availability yet but keep an eye peeled for when we do.